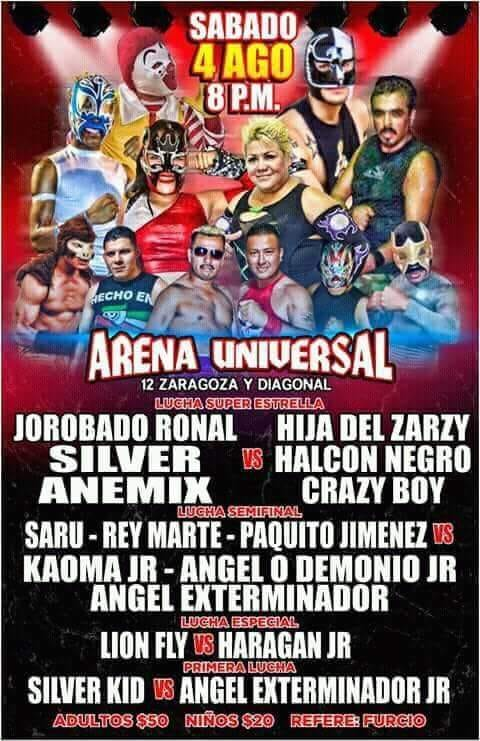 Apache hit the ref by mistake. 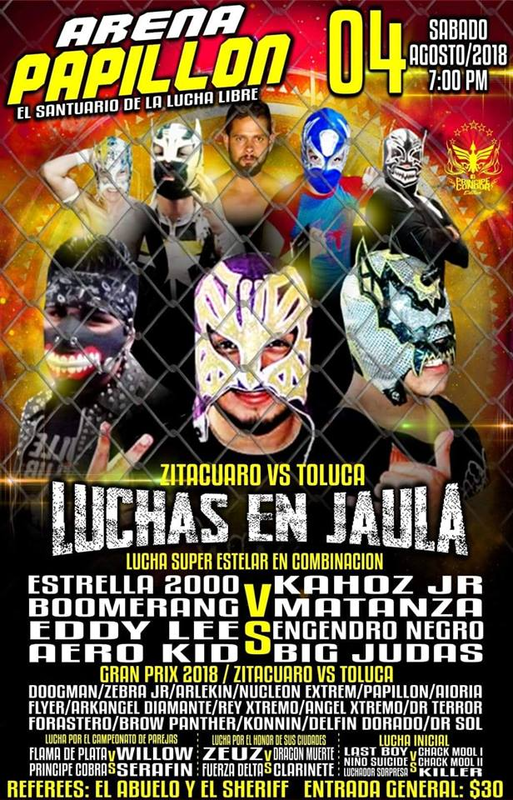 Daga distracted Rockstar leading to Iguana win. 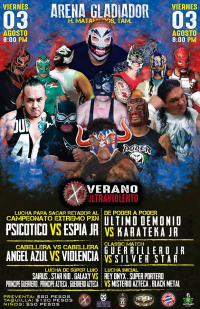 Vasco attacked Hijo del Volador after teh match. 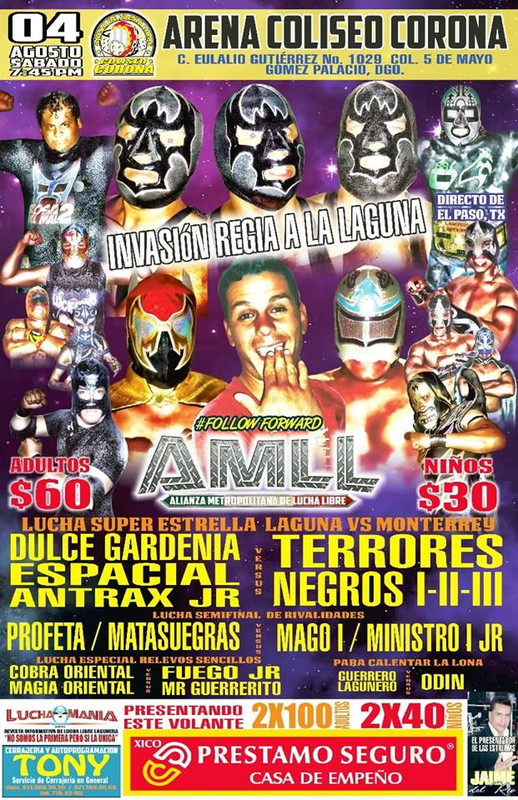 Crowd was behind the Rebellion team. 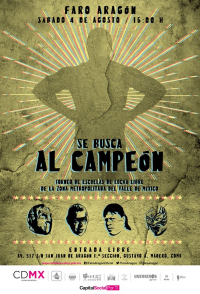 Rockstar interfered to help his team win. 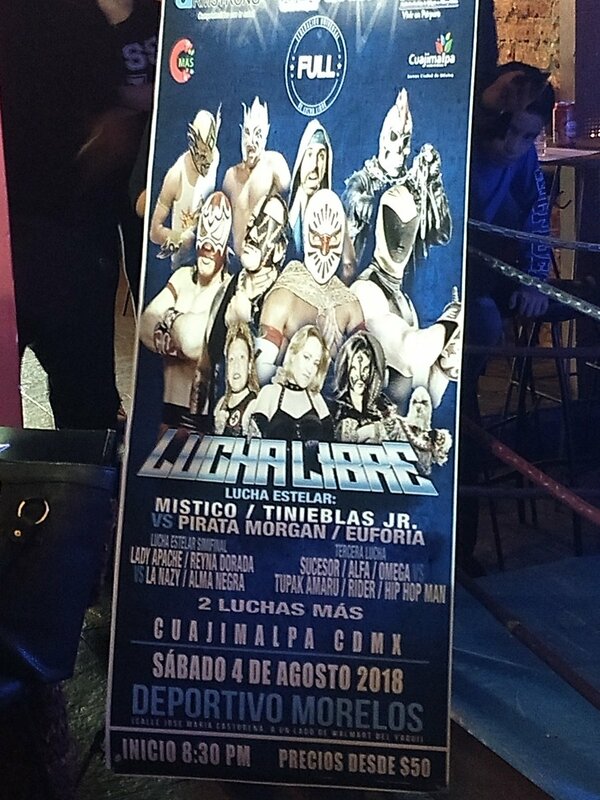 Penta asked for a rematch. 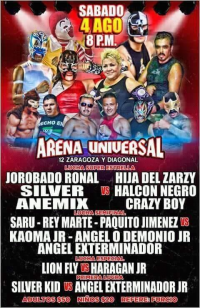 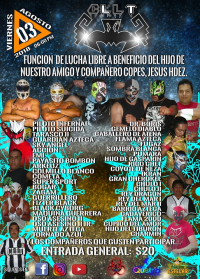 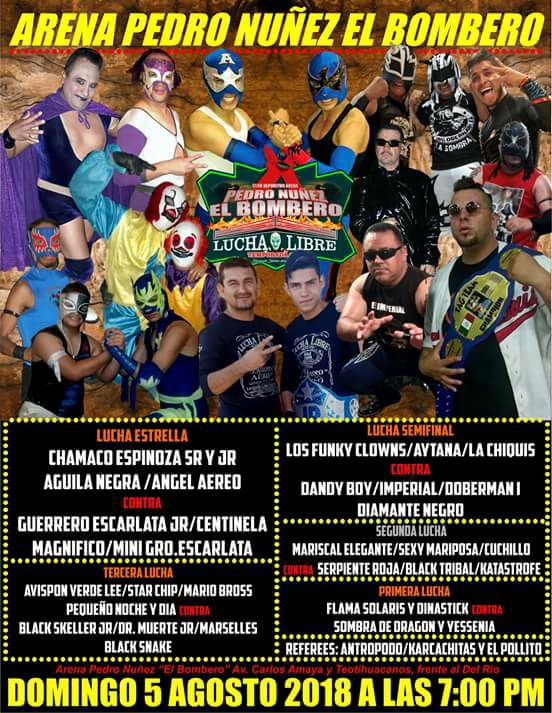 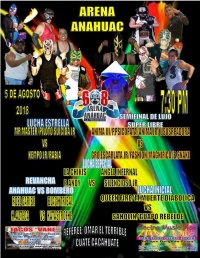 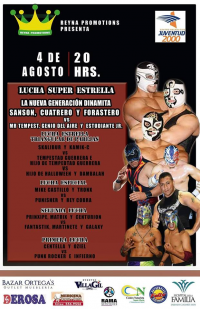 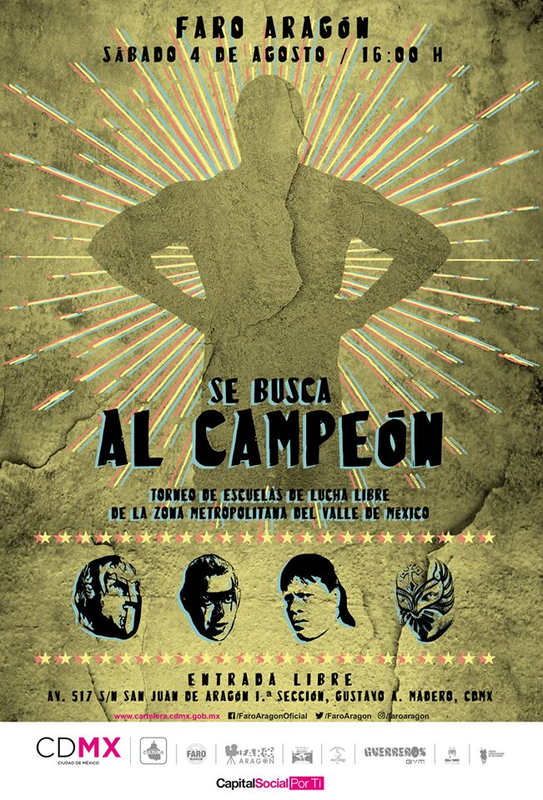 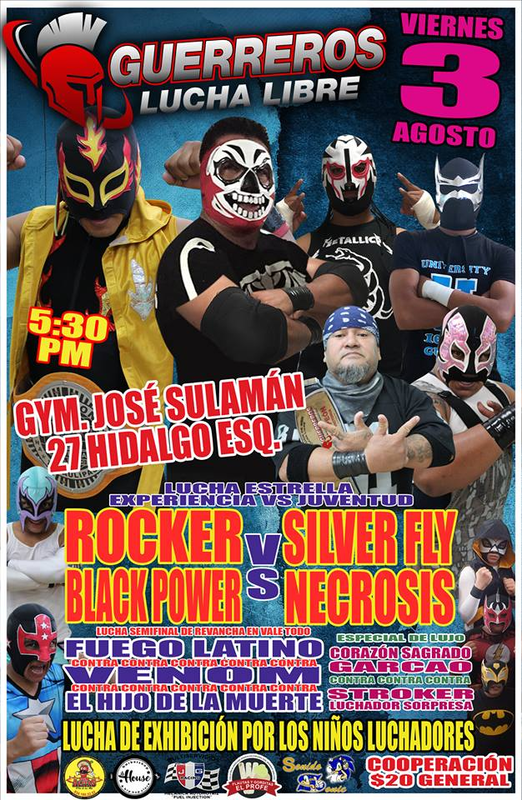 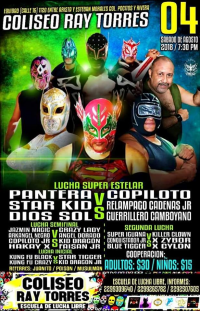 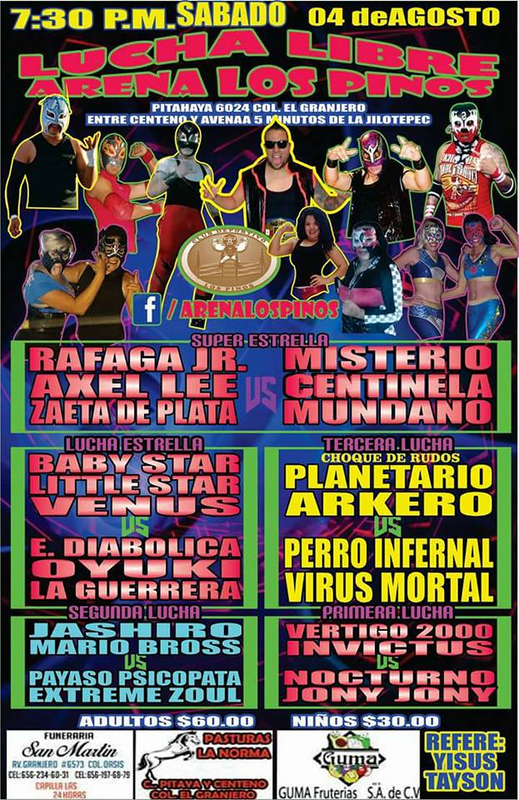 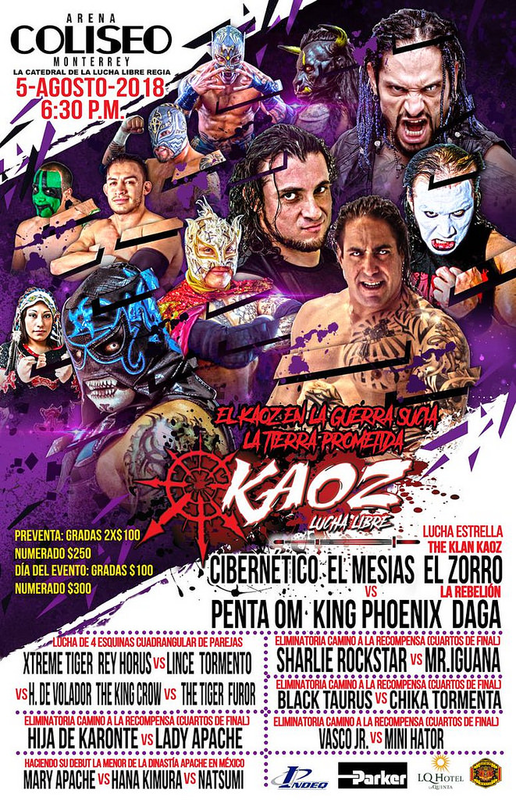 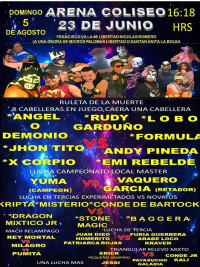 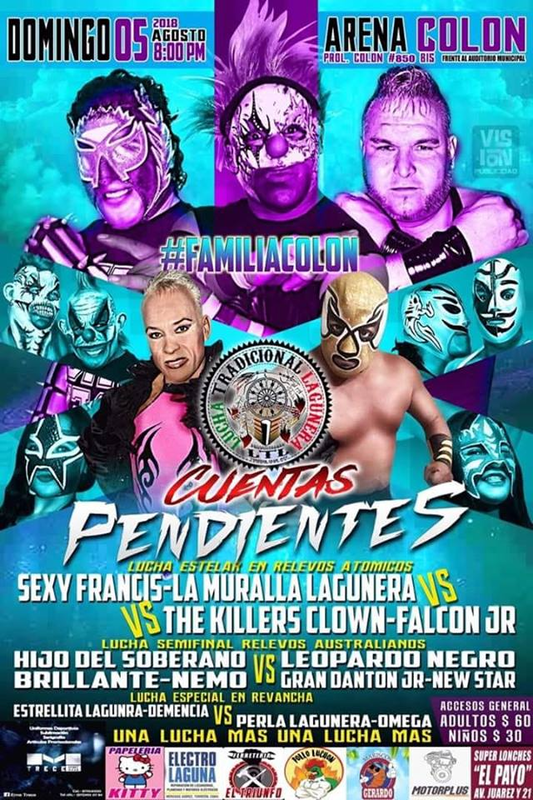 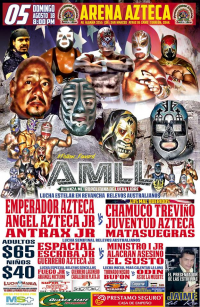 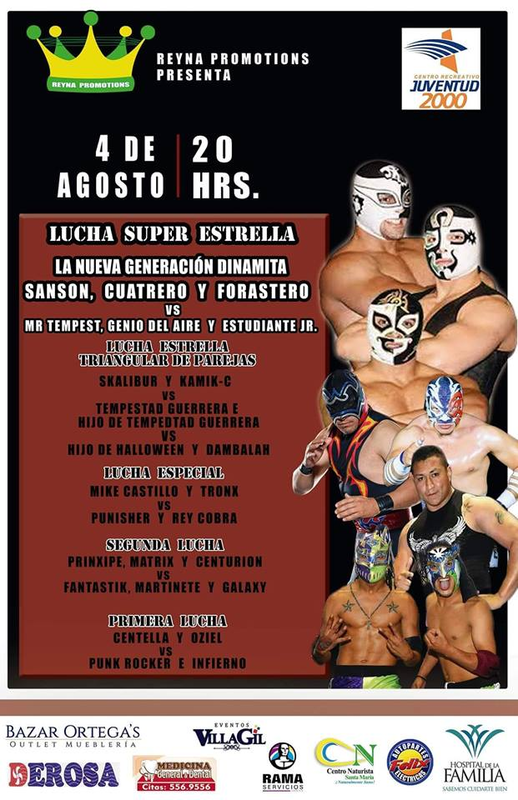 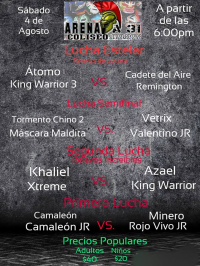 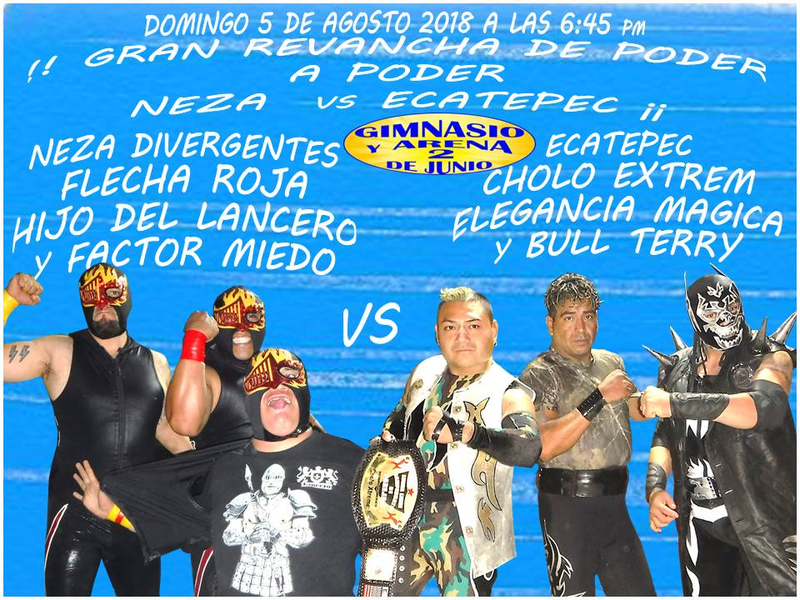 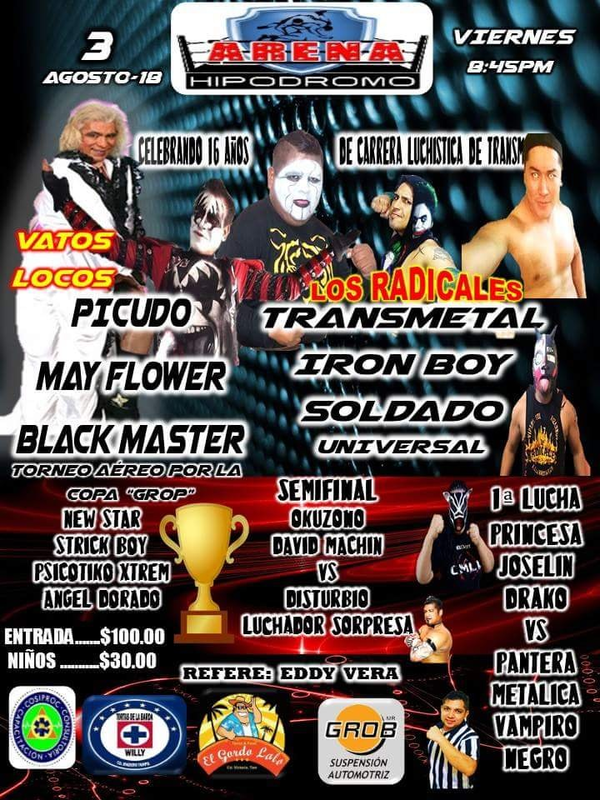 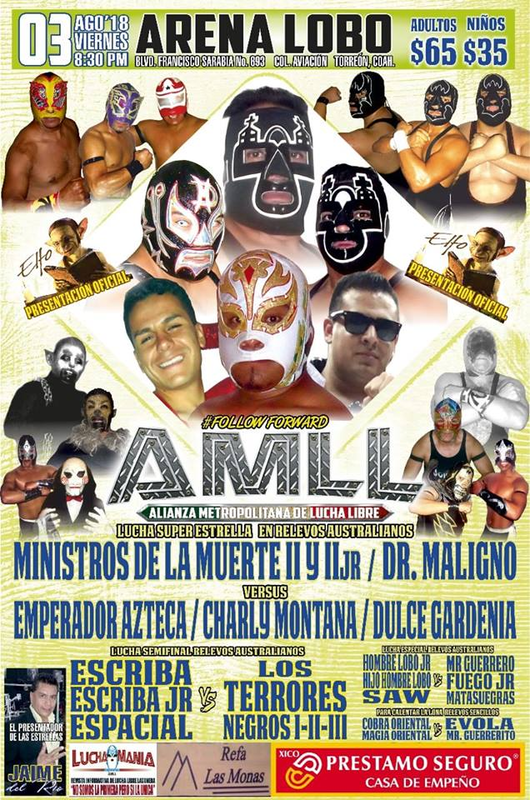 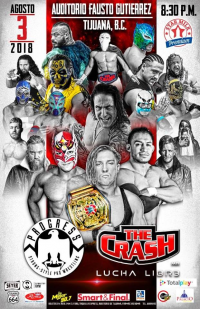 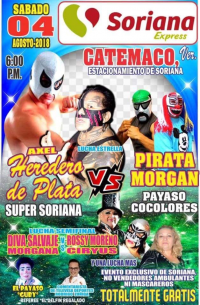 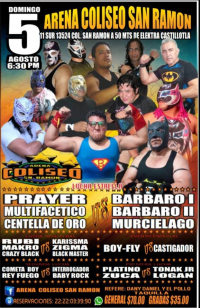 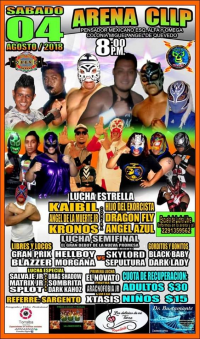 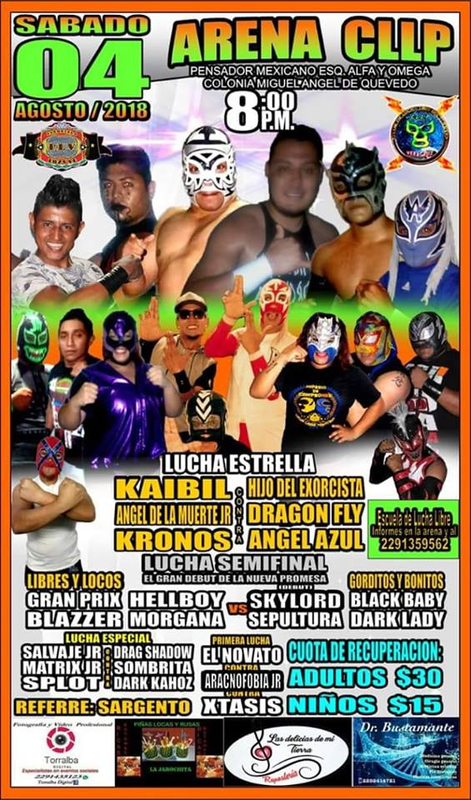 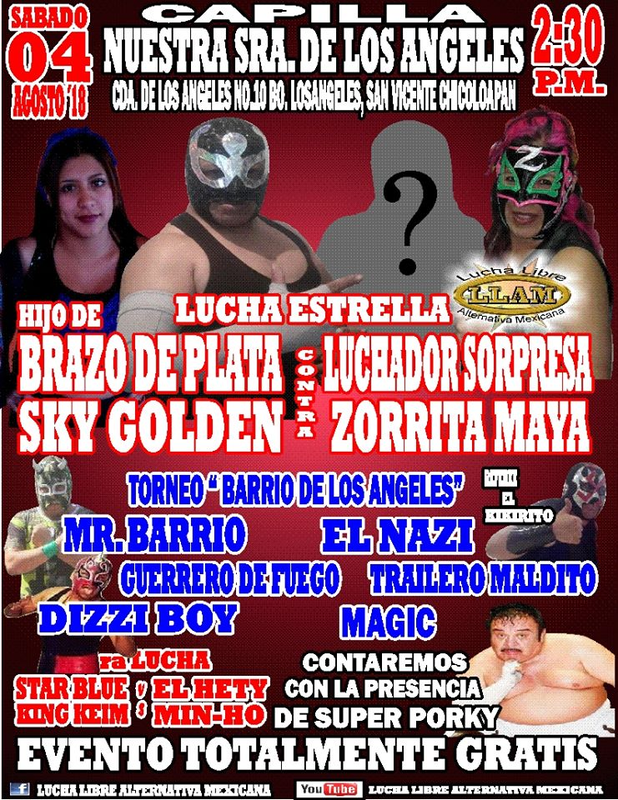 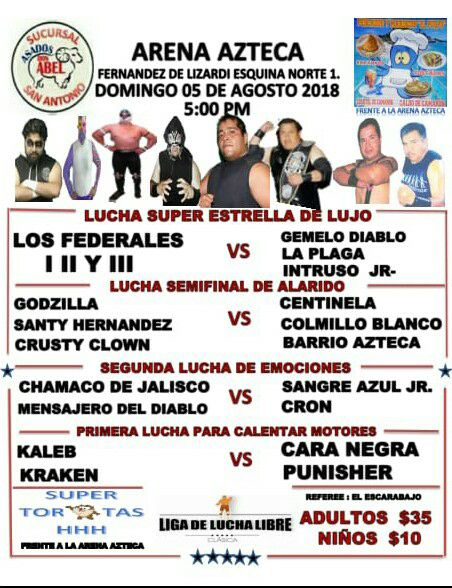 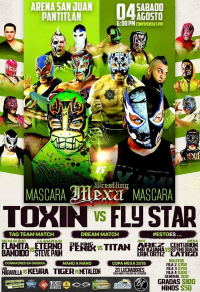 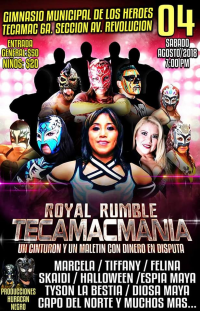 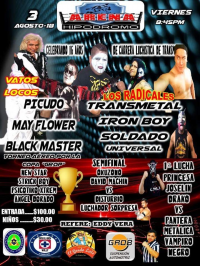 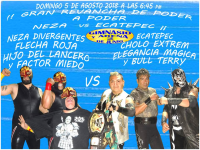 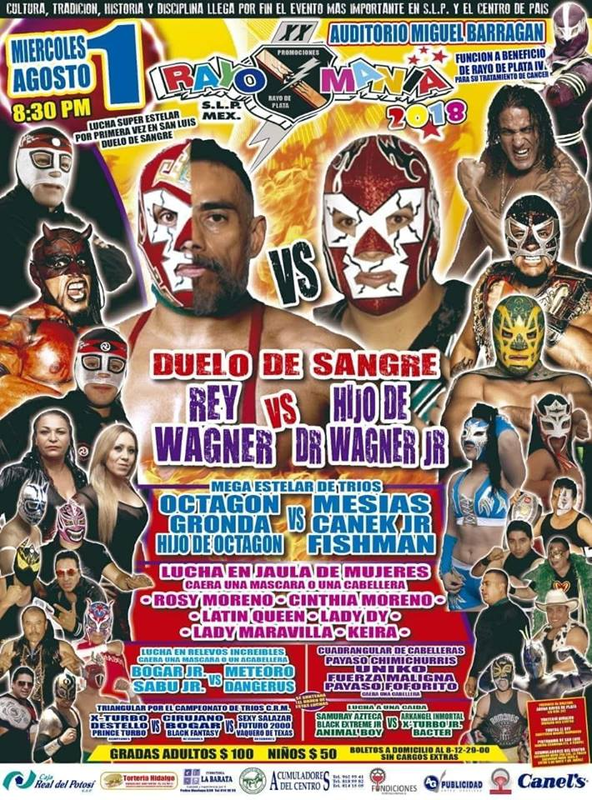 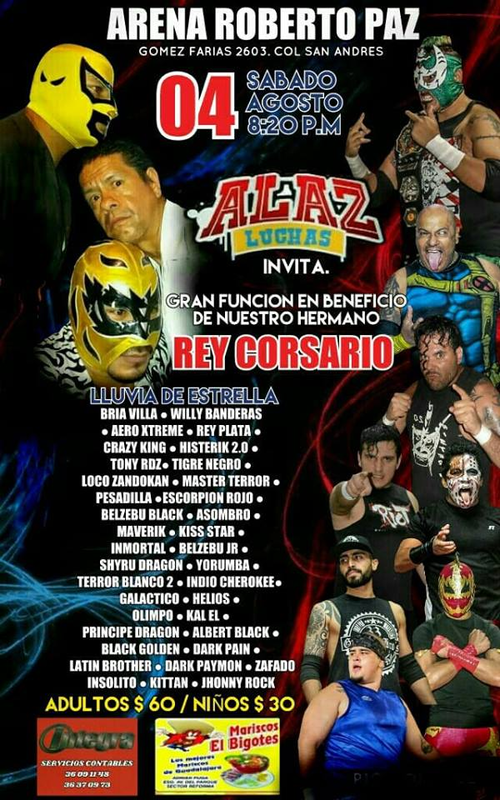 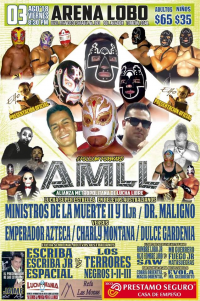 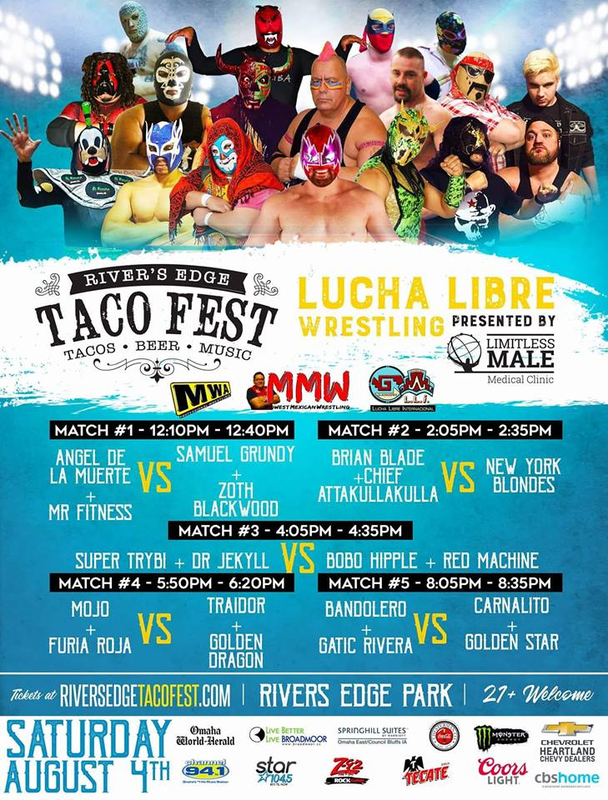 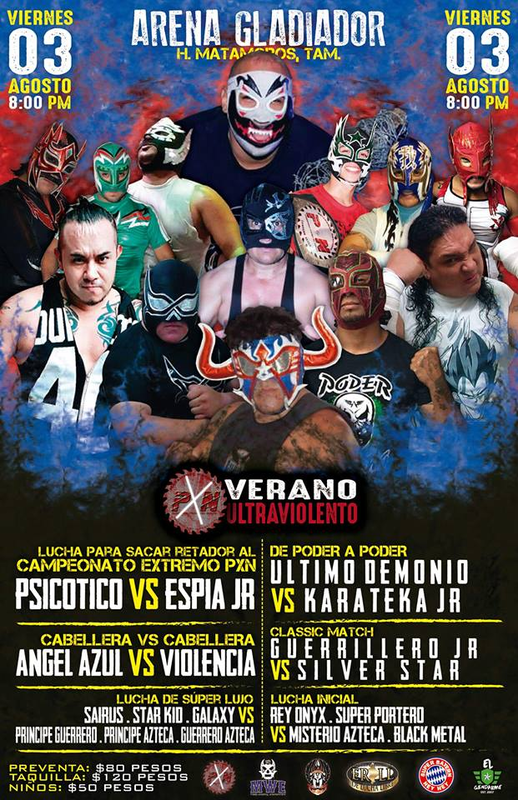 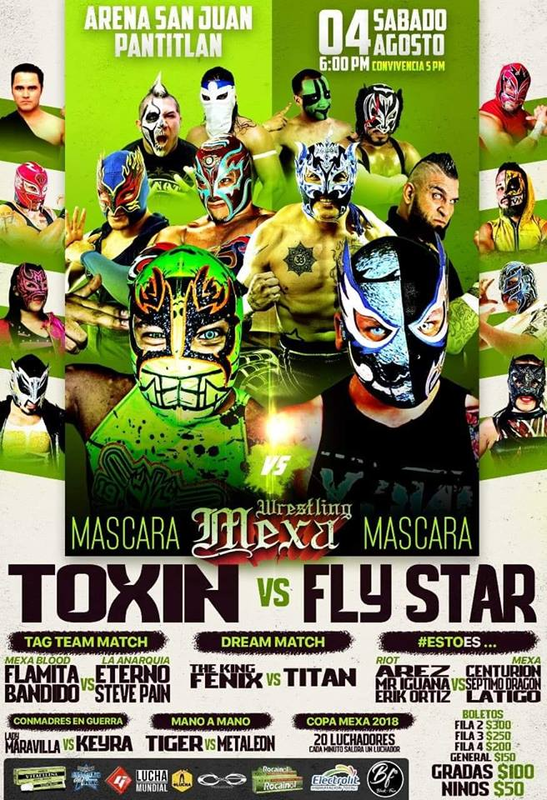 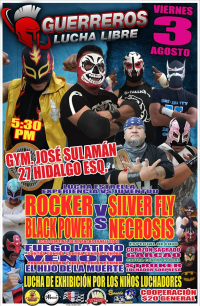 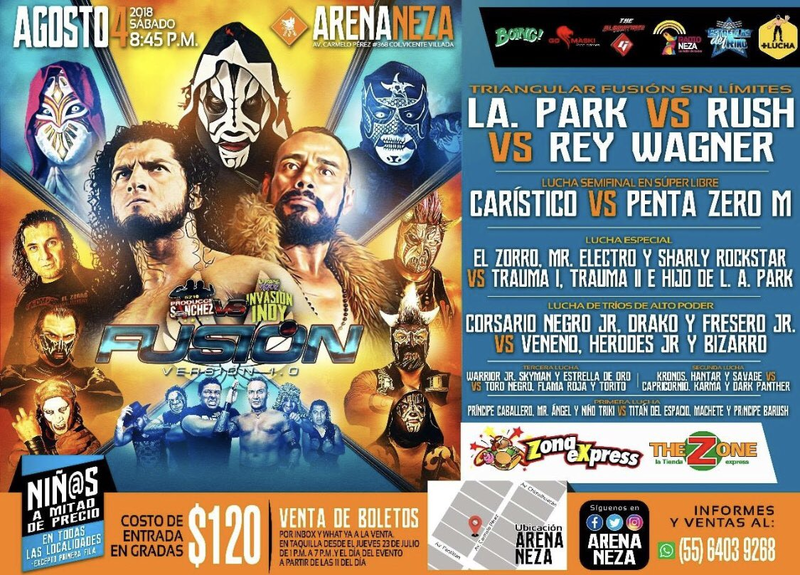 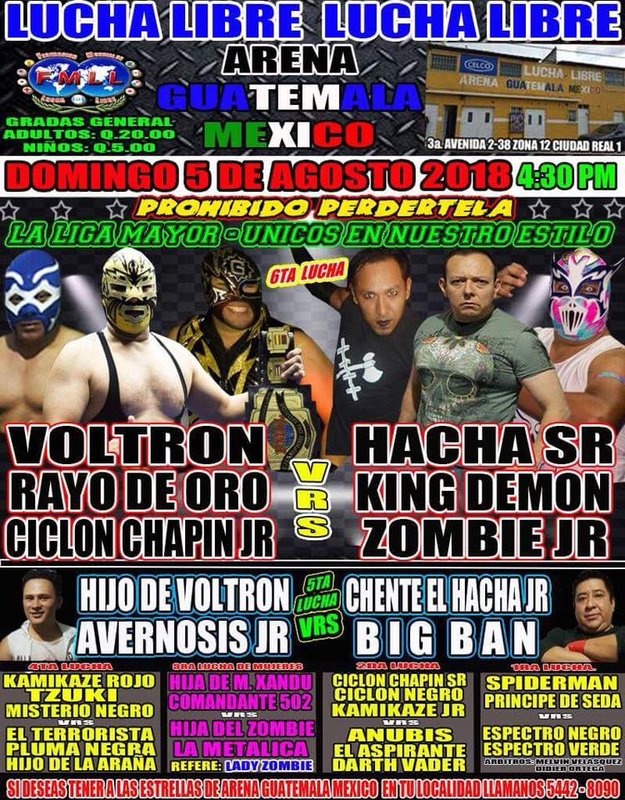 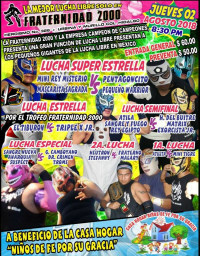 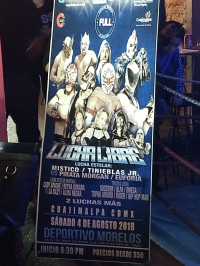 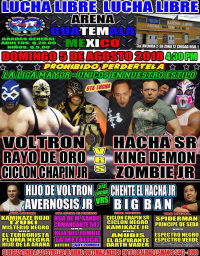 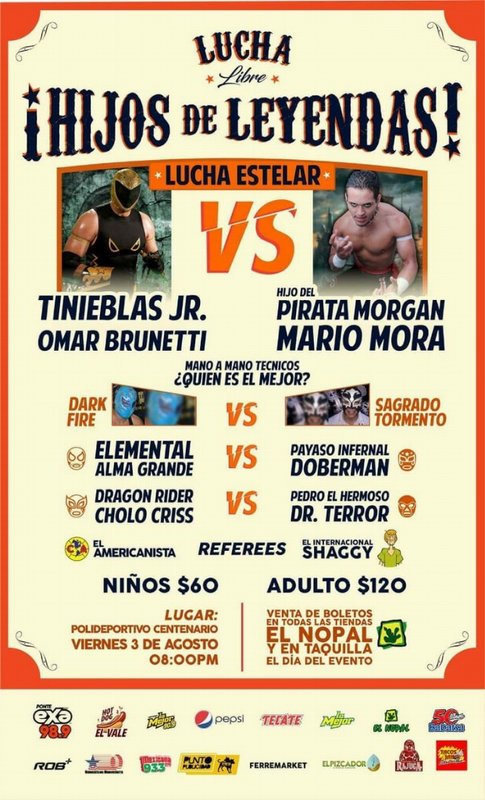 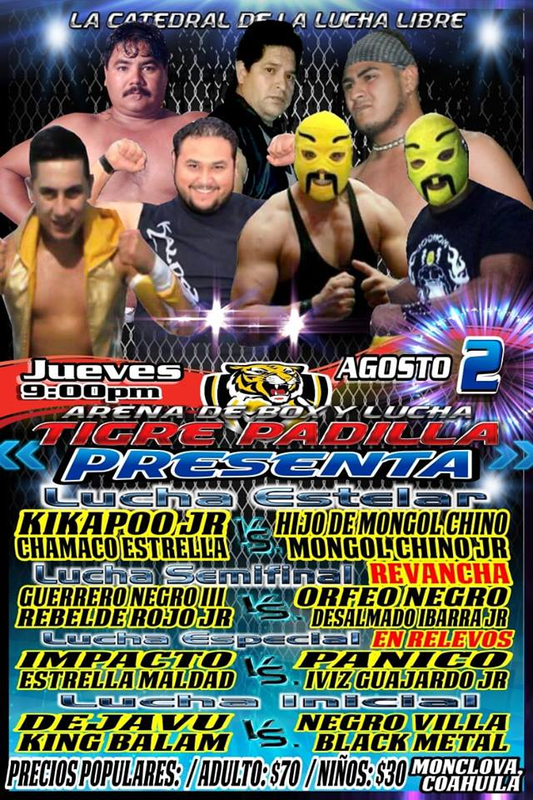 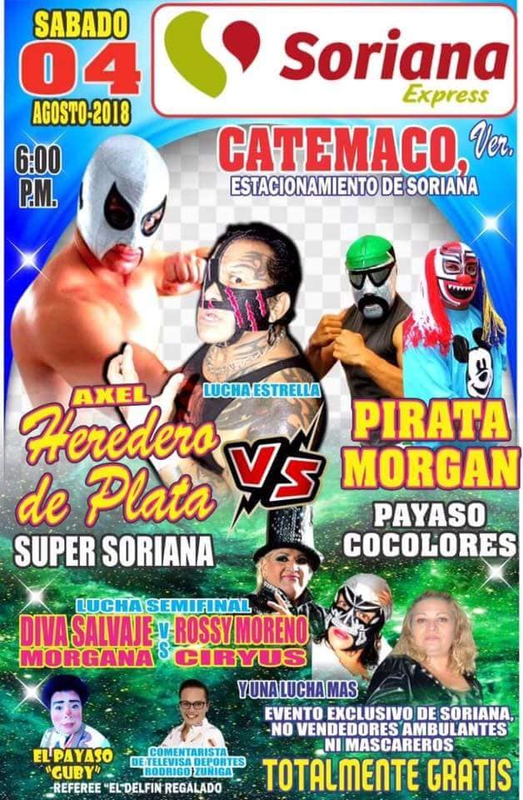 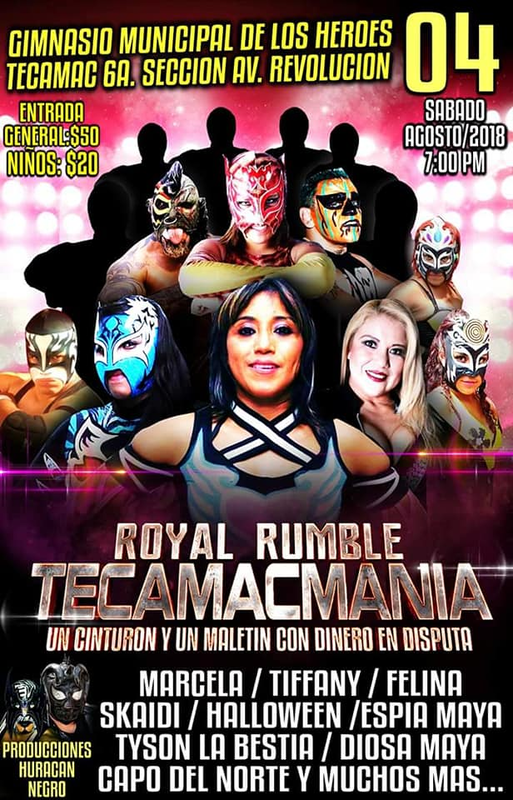 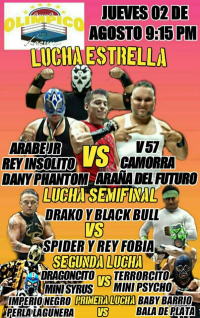 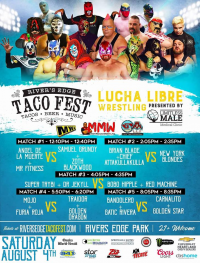 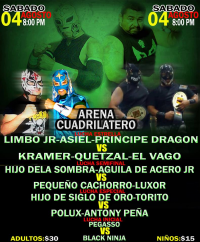 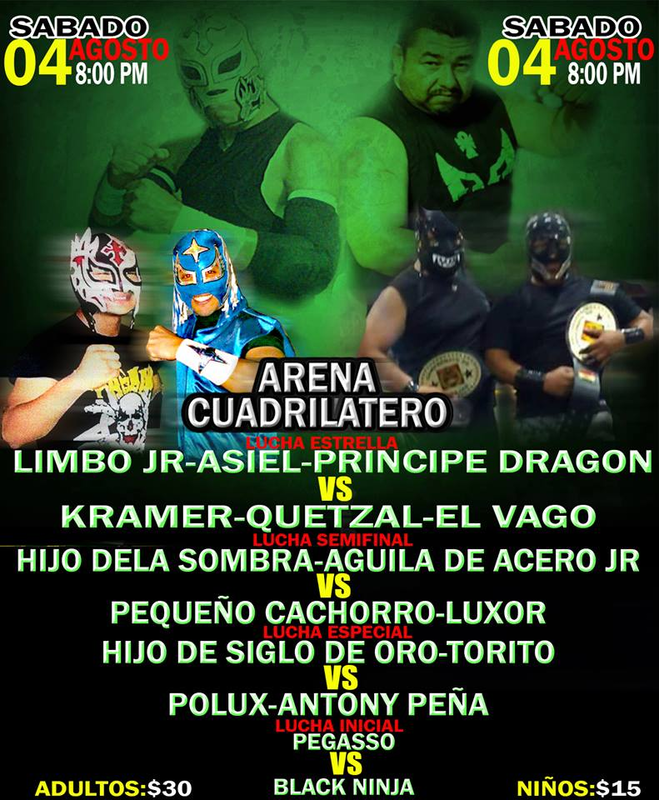 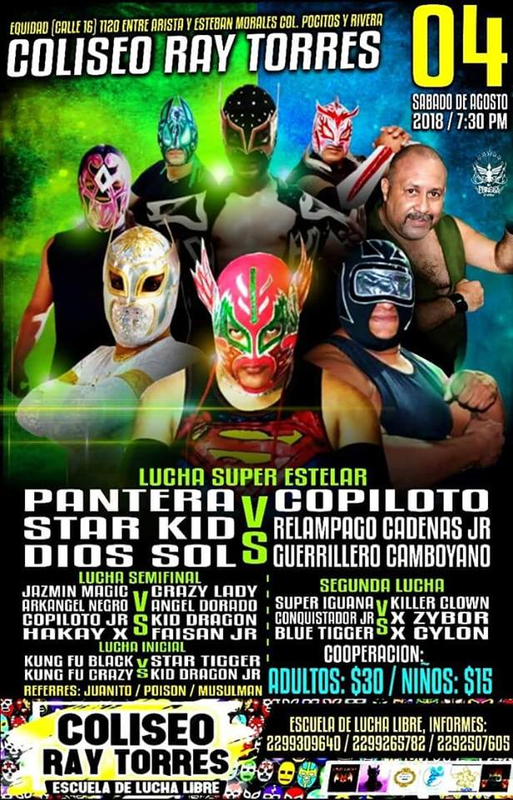 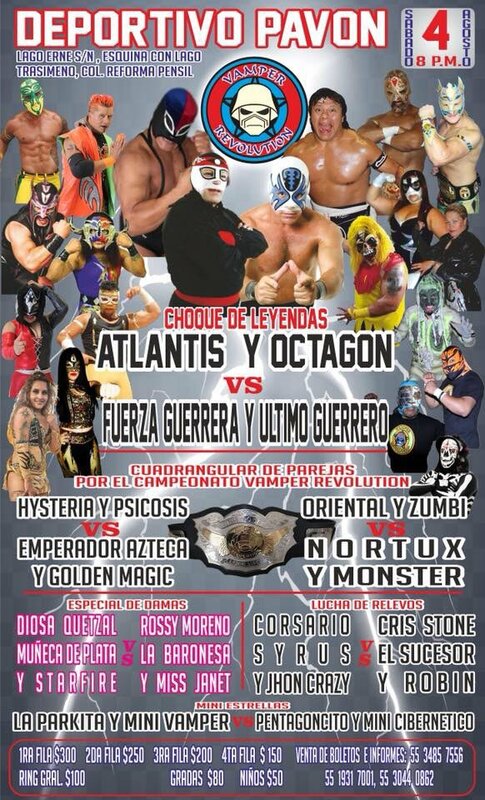 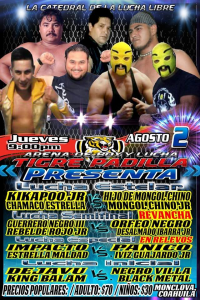 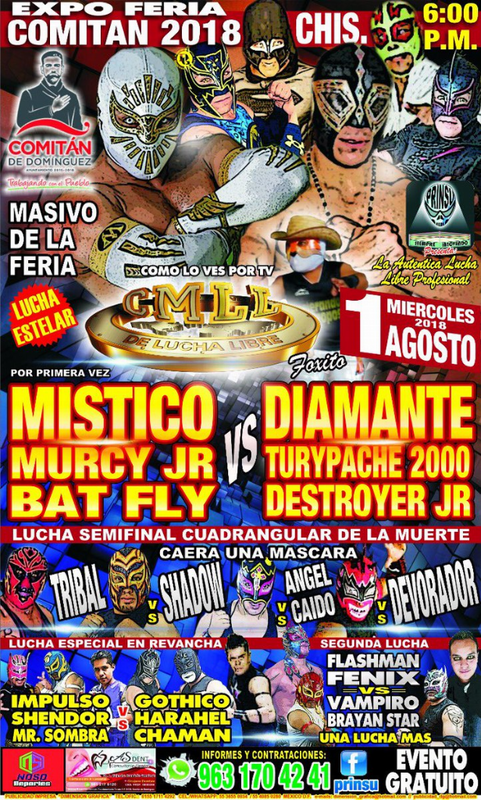 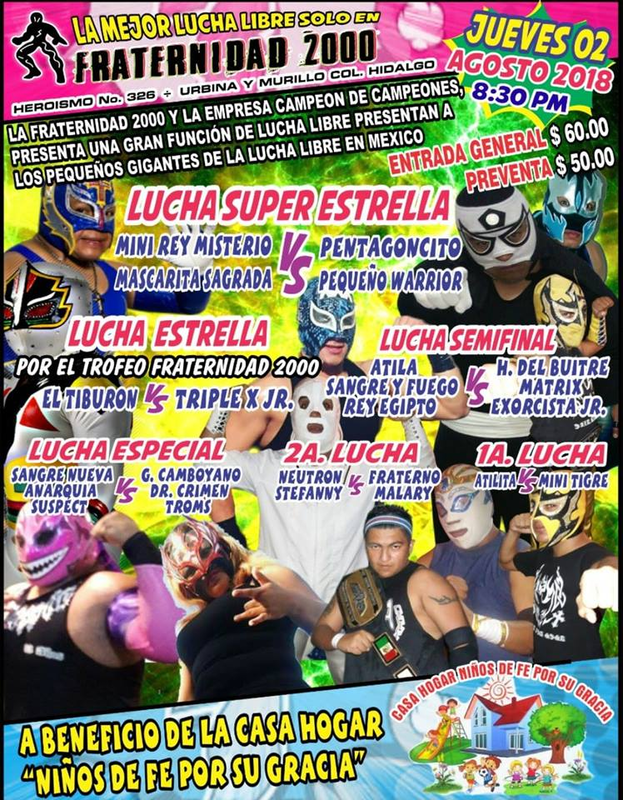 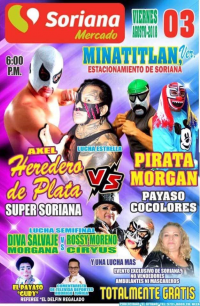 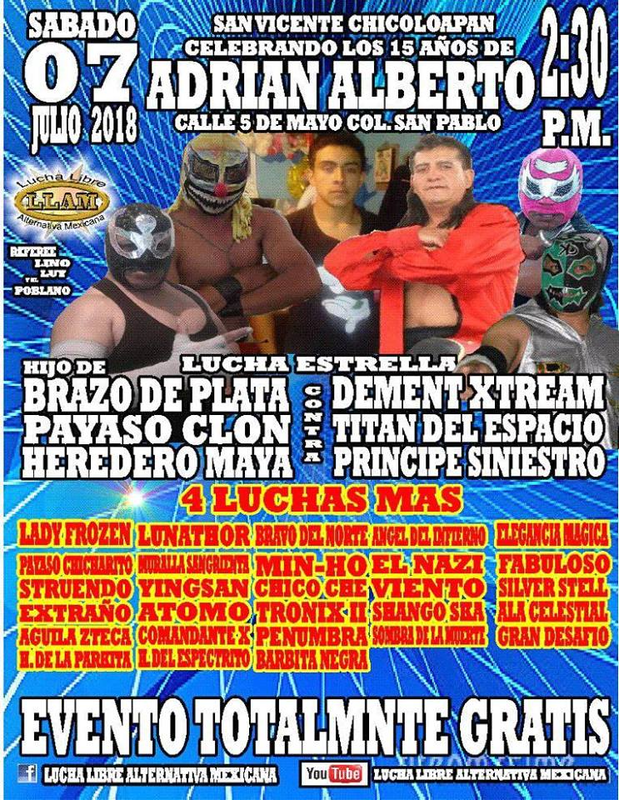 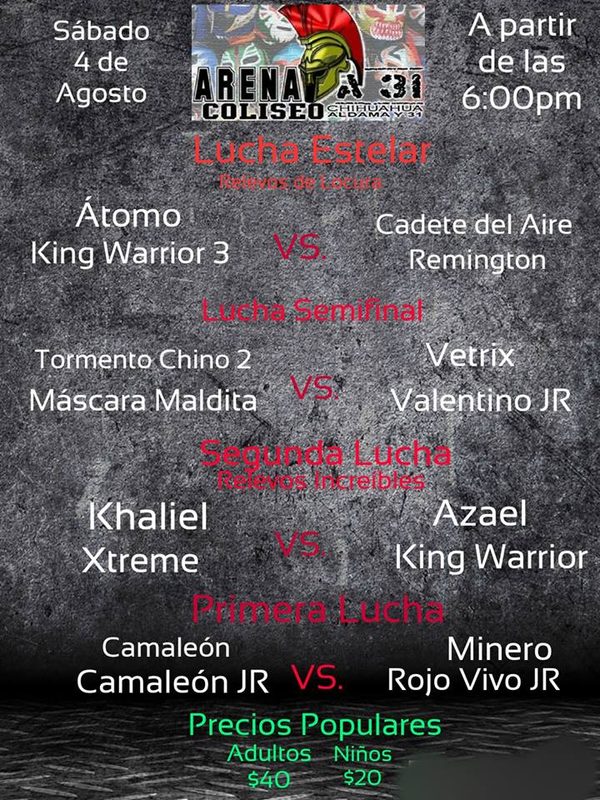 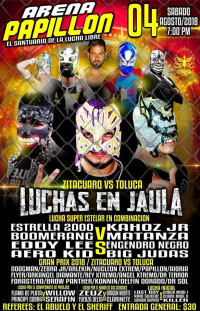 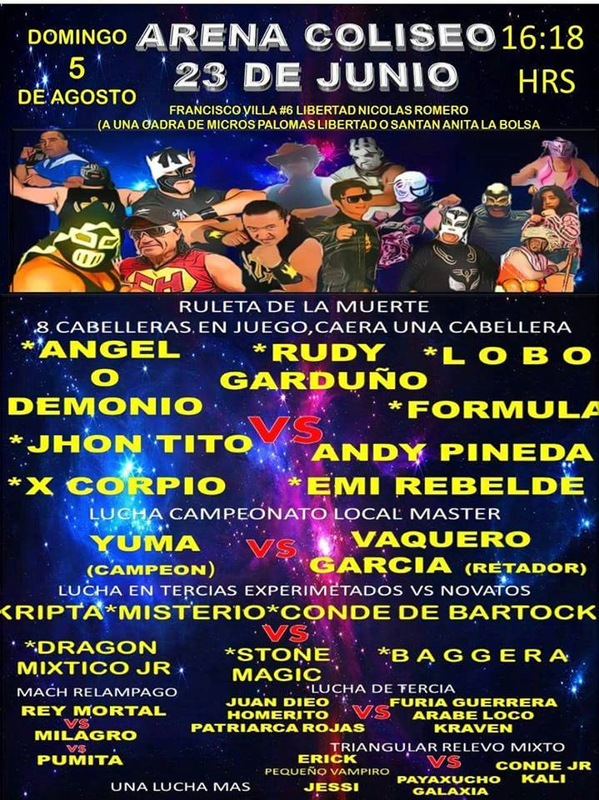 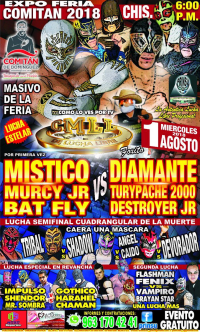 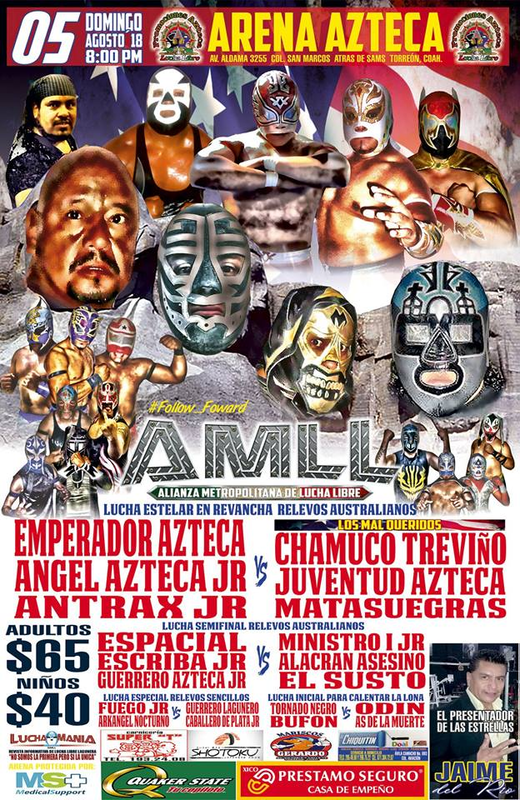 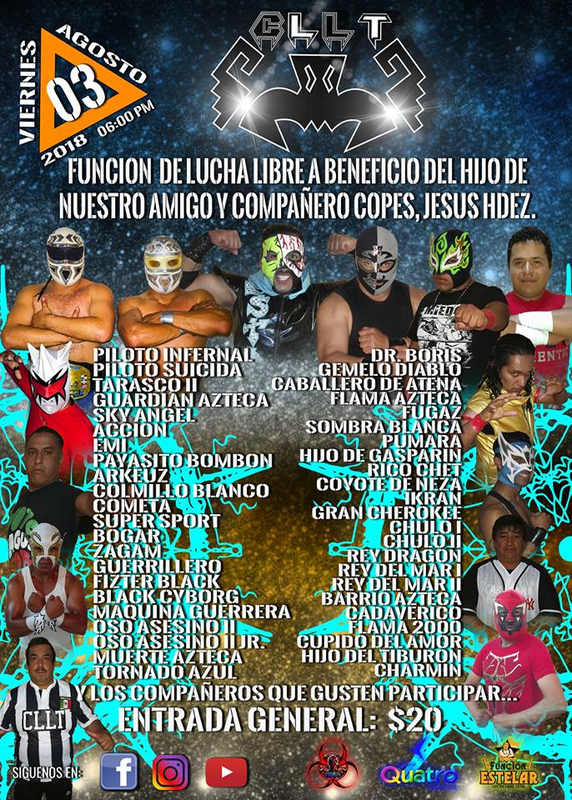 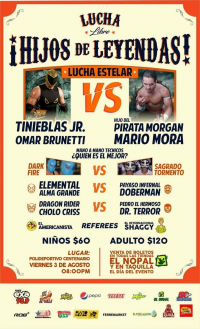 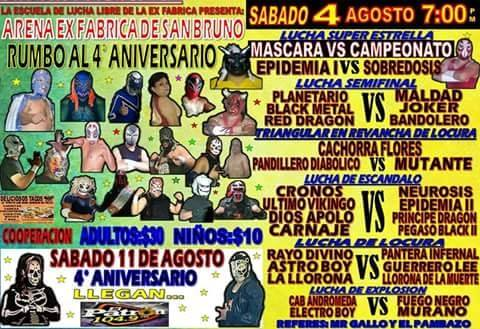 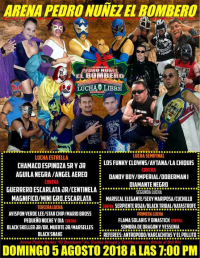 1) Platino & Zuka vs Logan & Tonak Jr.
5) Avernosis Jr. & Hijo de Voltrón vs Big Ban & Chente El Hacha Jr.
6) Ciclón Chapin Jr., Rayo de Oro, Voltron vs Hacha Sr., King Demon, Zombie Jr.